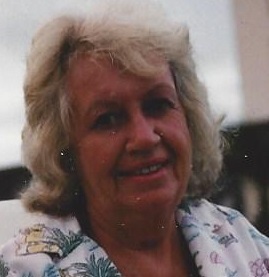 Patricia Ruth (Hunter) Newell, age 82, of Pataskala, passed away on November 23, 2018, at home surrounded by her loving family. Patricia was born June 19, 1936 to the late Ray and Desta (Ward) Hunter in Columbus. She was a majorette in Grove City High School, class of ‘55. Patricia worked at the Grove City Library, as a secretary for Nationwide and The State of Ohio Adjutant General Department at Fort Hayes. She volunteered at Mt. Carmel East Hospital, and as a “Den Mother” for the Cub Scouts. She was also the friendly voice on the phone to schedule your appointment at Continental Carpet and Upholstery Cleaning. Patricia enjoyed being a homemaker and traveling; especially to the Smoky Mountains and beaches. Her strong Christian faith helped her as a mother, while her husband was on duty with the Columbus Police Department. Patricia is survived by her loving husband of 55 years, Paul Newell; sons, Scott Andrew (Barbara Young) Newell, Steven Ray (Elizabeth) Newell, Timothy Sheldon Newell; granddaughters, Emily Newell, Caroline Newell; and many nieces & nephews. She is preceded in death by her sister, Mary (Bud) Houser; brothers, Gene (Margaret) Hunter, Ray Hunter; aunts, Clara Hancock, Grace Miles and Grandma Hancock. A visitation will be held on Thursday, November 29, 2018, from 1-3 PM and 5-7 PM at the PFEIFER FUNERAL HOME, Reynoldsburg, where her service will immediately follow at 7 PM with Pastor Phil Manson officiating. In lieu of flowers, donations may be made in Patricia’s memory to the Helping Hands Medical Equipment Ministry of Pickerington c/o Peace United Church. Online condolences available at www.pfeiferfuneral.com.